Robert Holland who married Maud de Zouche and managed to get himself beheaded by some irate Thomas of Lancaster supporters in 1328. Sir Thomas Holland who married Edward I’s granddaughter Joan of Kent in a secret marriage. He became the first Holland Earl of Kent. He died in 1360. Sir Thomas and Joan had two sons – Thomas and John. Thomas became the 2nd Holland earl of Kent after his mother’s death in 1385. He was married to Alice FitzAlan the daughter of the Earl of Arundel. the 2nd earl died in 1394. I’ll come back to John shortly. The 2nd earl and his wife Alice had two sons, another Thomas and Edmund. Thomas, the elder of the two brothers became the 3rd earl but was elevated by his half-brother Richard II to the title 1st Duke of Surrey. He was demoted back to being an earl when Henry of Bolingbroke usurped the throne from his cousin Richard II. In January 1400 Thomas plotted with his uncle John to overthrow Henry IV and return Richard II to power. Both Thomas and John were executed. Thomas did not have any heirs so the title of 4th earl went to Thomas’s brother Edmund. Edmund was killed in 1408 during one of the intermittent skirmishes of the Hundred Years War. The Holland Earldom of Kent was extinct as he had no heirs. So let’s go back to John, the second son of Joan of Kent. John benefited from the patronage of his step father the Black Prince. He married Elizabeth of Lancaster, the daughter of John of Gaunt, was elevated to the earldom of Huntingdon and then to the title 1st Duke of Exeter. When Henry IV gained the throne John was demoted back to his earldom, plotted to kill Henry and his sons and was promptly executed. He and Elizabeth of Lancaster had three sons. The eldest and youngest died without heirs whilst the middle son, conveniently called John regained the dukedom from Henry V following the victory at Agincourt. John, the second Duke of Exeter, married the widow of Edmund Mortimer and had two children. The boy was called Henry and he was born in 1430 so we have now arrived at the Wars of the Roses generations. Henry became the 3rd Duke of Exeter in 1447. He was an important political figure. So it is not surprising that he married Richard of York’s young daughter Anne. On December 30th 1460 he was one of the Lancastrian commanders at the Battle of Wakefield – where his father-in-law was killed. He was at Towton and fled to Scotland to continue serving Margaret of Anjou. He wasn’t caught by the Yorkist king Edward IV until he was injured at the Battle of Barnet on the 14th April 1471. The following year his wife, who had already separated from him, sought a divorce. In 1475 he was let out of the Tower having volunteered to go to France with Edward IV. Henry Holland, 3rd Duke of Exeter and Joan of Kent’s great grandson. On the way back from France Henry fell mysteriously overboard and drowned – probably on the orders of Edward IV. I’ve posted about the 3rd duke before. Click on the link to open a new window: https://thehistoryjar.com/2017/02/07/duke-of-exeter-was-he-murdered-or-did-he-slip/ Henry’s only child, a daughter called Anne had predeceased him a year earlier. And that’s the end of the Holland males. There are, of course, assorted female Holland descendants – married as you might expect into some of the most important families in the country. I shall begin to look at the female line in part three of this series. 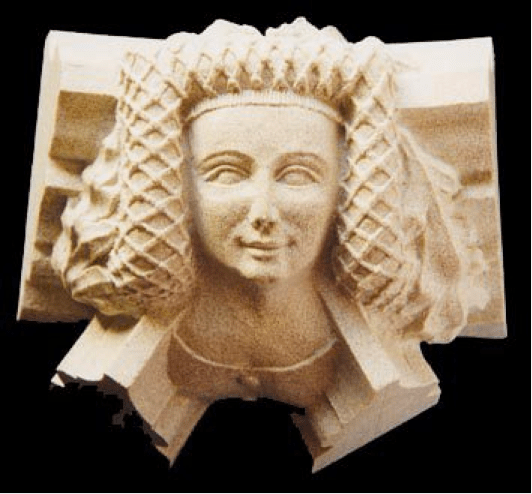 Richard II – who do you think you are? Or meet the family. 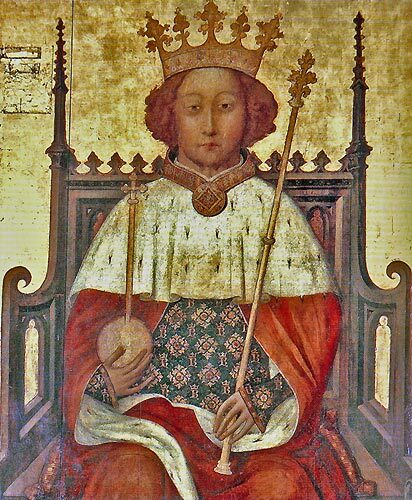 Richard II is one of those monarchs in history who is remembered for coming to a rather nasty end. Incidentally he is also the first English monarch for whom we have a realistic portrait. So who was the unfortunate king who lost his throne and starved to death in Pontefract Castle. Richard’s grandparents were Edward III and Philippa of Hainhault. His father was Prince Edward known as the Black Prince on account of the colour of his armour but only from the sixteenth century. The prince died a year before his father of an illness that he’d contracted in Europe. He is best remembered for his military importance at the Battle of Crecy and later on for capturing the french king. He campaigned in Spain and made himself unpopular with the people of Aquitaine when he taxed them for his Spanish campaigns – for that and for the massacre of some 3000 inhabitants of a town that rose up in revolt against him. Edward was married to Joan who was the daughter of the Earl of Kent. He was the son of Edward I and Margaret of France. So, he was the chap who supported his brother (Edward II) and was executed on the orders of Mortimer and Isabella – so not exactly a peaceful childhood. As if that weren’t enough she’d been married before – twice. Unfortunately the second marriage was bigamous and it took papal decree to sort the tangled matrimonial web out. She produced five children before her legitimate husband Sir Thomas Holland died. She then married the Black Prince and bore two sons. The first child, a boy called Edward, died age six or seven. Her second son, Richard, was born in 1367 in Gascony. He succeeded his grandfather as king, the year after the Black Prince died. Richard was a minor with lots of half-siblings on his mother’s side of the family and plenty of cousins and uncles on his father’s side of the family – the most notable one being John of Gaunt. The stage was set for a familiar family saga of murder and mayhem.